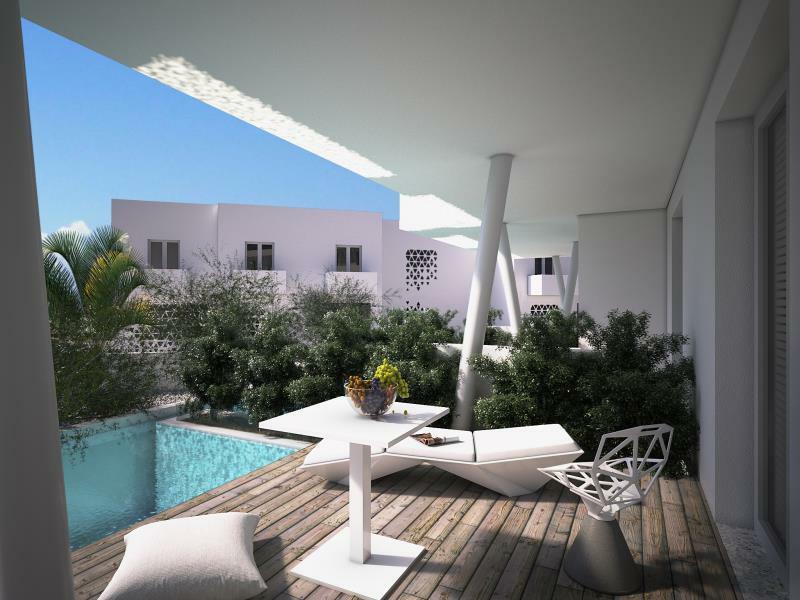 Have a question for Mykonos Palace Beach Hotel? 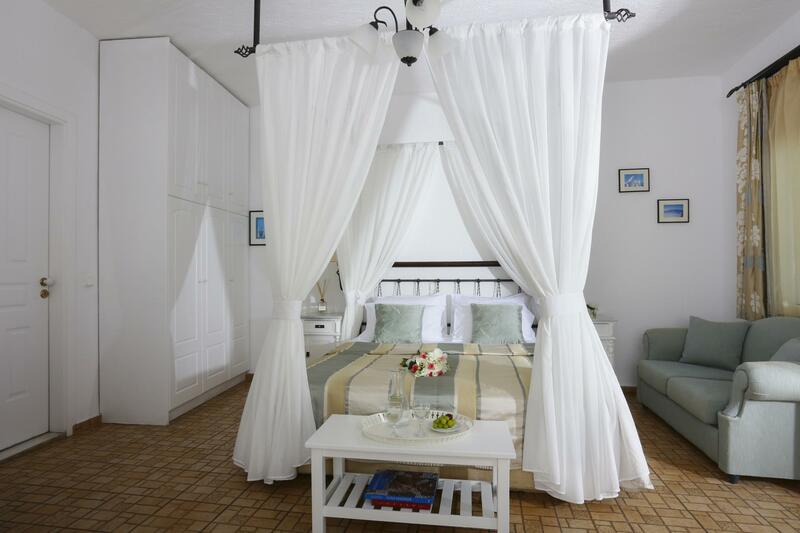 "Mykonos Palace Beach Hotel was a fantastic base from which to explore the surrounding beaches and township." "The concierge, Christy, made everything easy for us and looked after us throughout our stay." 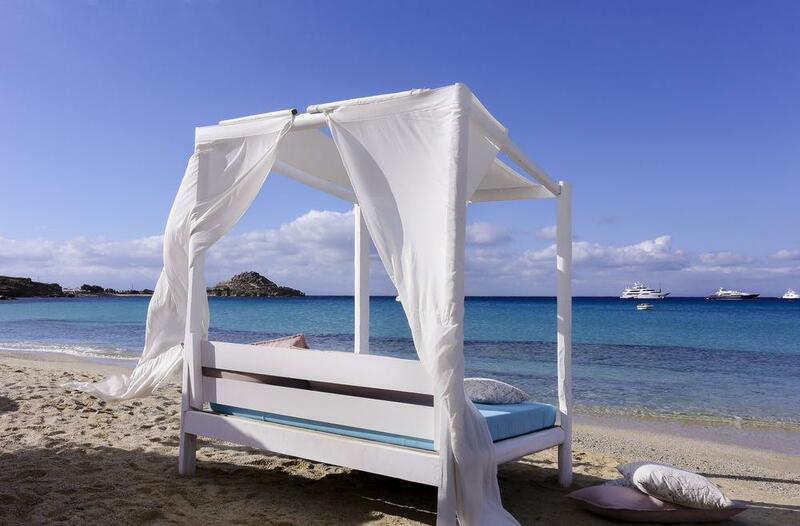 "Thank you again to all lovely staff and our favourite recept..."
Renovated in 2016, the Mykonos Palace Beach Hotel guarantees guests a pleasant stay whether in Mykonos for business or pleasure. The hotel is not too far from the city center: just 4 km away, and it normally takes about 7 minutes to reach the airport. For those of you who want to venture out, Mykonos Island National Airport, The Aegean Maritime Museum, Minima Gallery are just some of the attractions available to visitors. 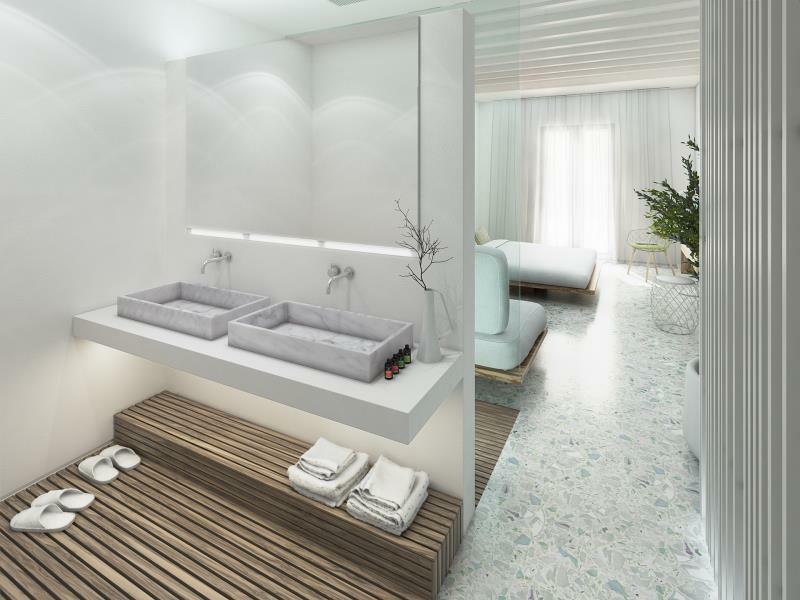 Offering hotel guests superior services and a broad range of amenities, Mykonos Palace Beach Hotel is committed to ensuring that your stay is as comfortable as possible. 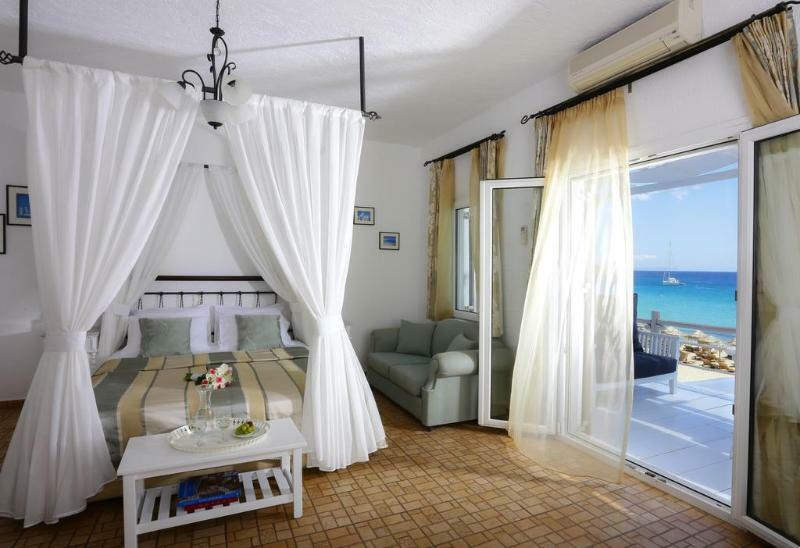 Guests of the hotel can enjoy on-site features like free Wi-Fi in all rooms, daily housekeeping, private check in/check out, taxi service, ticket service. Hotel accommodations have been carefully appointed to the highest degree of comfort and convenience. 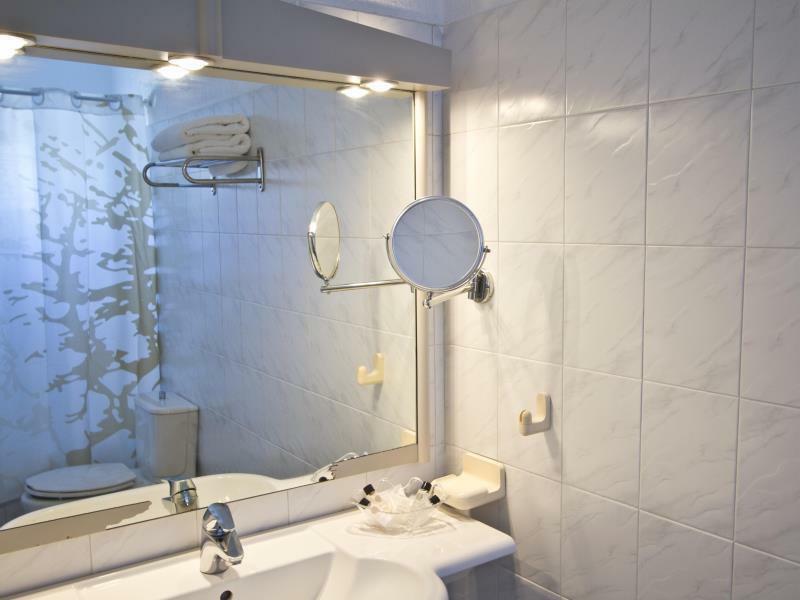 In some of the rooms, guests can find television LCD/plasma screen, cleaning products, clothes rack, free welcome drink, linens. The complete list of recreational facilities is available at the hotel, including boats, canoe, wind surfing, snorkeling, outdoor pool. 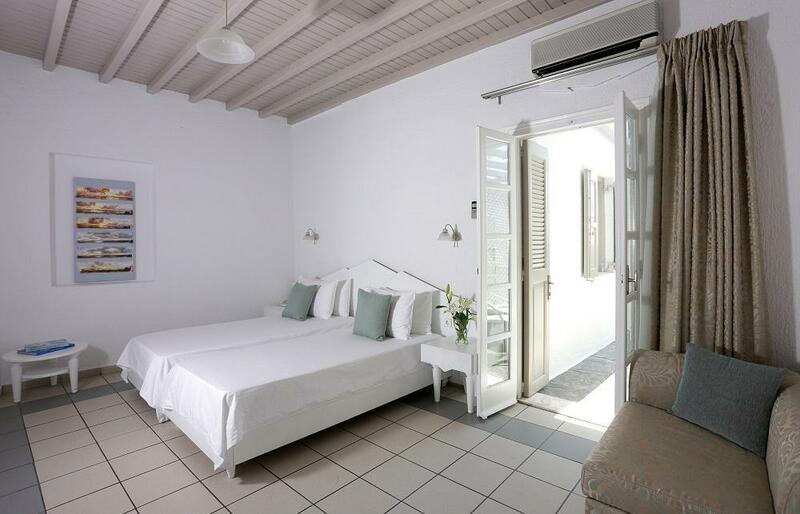 When you are looking for comfortable and convenient accommodations in Mykonos, make Mykonos Palace Beach Hotel your home away from home. "Enjoyed my stay at this place very much!" 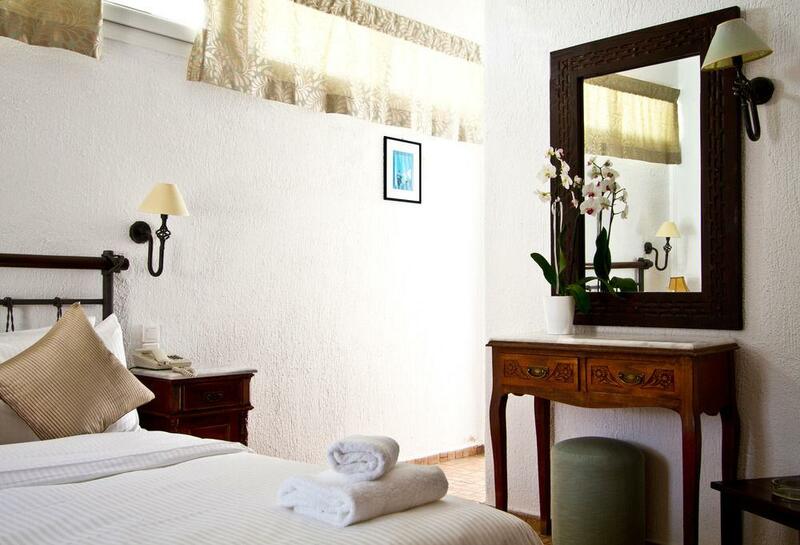 The property provides 1 free sunbed per person for all room types. Great location! One of the best in the island! The hotel itself is nice but is all about the extremely friendly service! Great breakfast as well. Enjoyed my stay at this place very much! Thank you again to all lovely staff and our favourite receptionist! 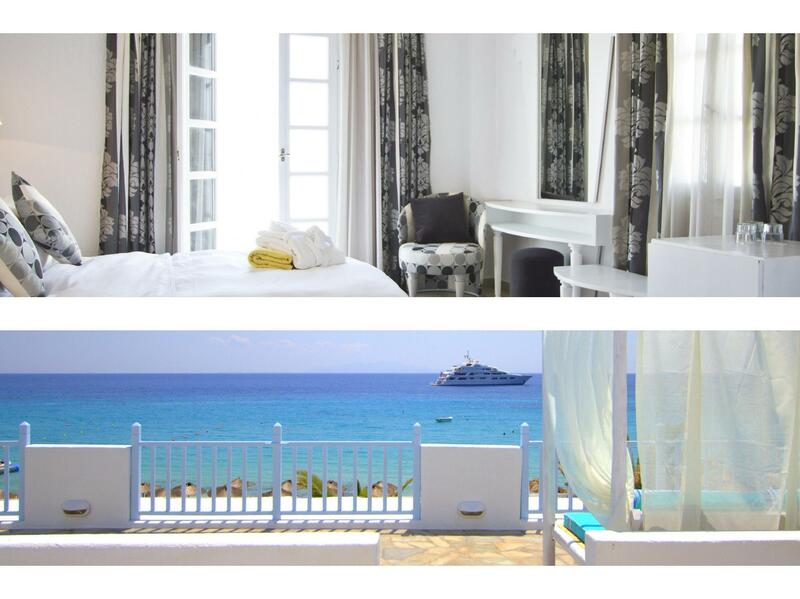 Mykonos Palace Beach Hotel was a fantastic base from which to explore the surrounding beaches and township. We had a ball. The concierge, Christy, made everything easy for us and looked after us throughout our stay. Recommended. Overrated and expensive for the old and very small rooms. this hotel has 3 really bad things: - a bad smell in the rooms coming from the purge - the breakfast - receptionists are incompetent apart from this it is not good value for money. Private balcony and the beach restaurant! We had a very pleasant there. Firstly we were offered a free upgrade that we moved into a room with a balcony right in front of the beach - feeling so closed to the blue (sea) and just a few miles from the numberless shining stars at night. The balcony view is indeed awesome! The hotel restaurant was very nice. The waiters are friendly and making you feel like home. We also got a bottle of nice white wine there, at a fairly good price. The room itself was not a 5star level room that the furniture seemed a bit old and the toilet was big but too simplly decorated. Yet this did not impact much as we did stay most of our time outside at the balcony. Lastly but not the least, the front desk guys were very helpful, the only thing we didn't listen to them was hiring a taxi from the port to hotel on our arrival - well, we got us a cheaper motorbike , but taxi could be a safer and better choice (need to call hotel to book one in advance). Personnel, tres sympa, petit dej bien, emplacement plage et sunbed parfait, + plage avec eau turquoise. L’hôtel était au 22 mai toujours en travaux, donc pas de piscine, ceci peut se comprendre a cette période. Par contre le rideau de douche petit, ( de 40 cm, vous en mettez partout dans la salle de bain), les finitions de la chambre et la télécommande absente ne correspondent pas au prix de 158 €. Très bon séjour dans l'ensemble. Positif : - localisation ; Platis Gialos est un endroit vraiment top avec plusieurs plages et restaurants différents qui permettent d'y passer plusieurs jours. 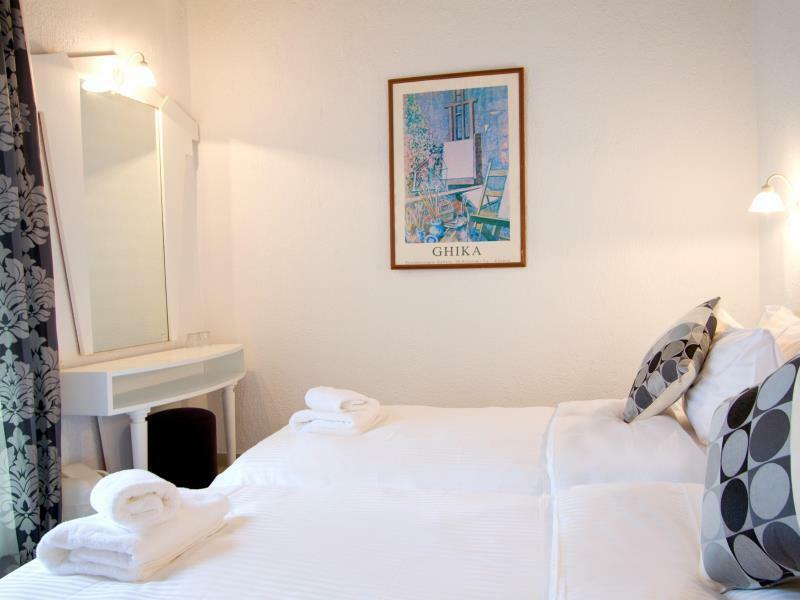 - le petit déj très bon, pas fait maison mais quand c'est bon y a pas de trop de souci (en revanche peut devenir redondant quand on passe 1 semaine sur place) - le personnel vraiment agréable - hôtel d'extérieur très stylé ; un bar vraiment bien pour prendre un verre et le savourer en face du coucher de soleil Négatif : - la chambre, juste une catastrophe. Nous avions pris la chambre supérieure (chambre 206). Chambre avec une déco proche des années 80, chambre froide, sans déco, ameublement succinct ; TV d'une autre époque (surtout pour un hôtel 4 étoiles) ; SDB à refaire. Le lit est une horreur (un matelas insoutenable, un lit double fait avec 2 lits simples = pas agréable pour 1 semaine). Le pire étant peut-être d'être quasi collé au bar (musique jusqu'à 2h du matin) qui ne permet pas du tout de se reposer. Pour 270€/nuit, je pense que des efforts sont à fournir pour que la clientèle soit conquise. Pour notre part, nous n'avons pas forcément accroché avec Mykonos mais si nous revenons, nous n'irons malheureusement pas dans votre établissement.